For additional information about this book, visit the website www.comfortablyunaware.com. What we choose to eat is killing our planet and us, yet use of the word ‘sustainable’ is ubiquitous. Explanation of this incongruity lies in the fact that sustainability efforts are rarely positioned to include food choice in an accurate or adequate manner. This is due to a number of influencing cultural, social, and political factors that disable our food production systems and limit our base of knowledge—falsely guiding us on a path of pseudo sustainability, while we devastate the ecosystems that support us, cause mass extinctions, and generate narrowing time lines because of our global footprint that will ultimately jeopardize our very survival as a civilization. Dr. Oppenlander’s goal with this book is to increase awareness in order to effect positive change—before it is too late. Food Choice and Sustainbility is a groundbreaking book, and given the urgency and magnitude of the problem, it’s a book that anyone who cares about our future and that of other species should read —individuals, academic institutions, businesses, organizations, and policy makers. Categories of global depletion are detailed, widely held myths are debunked, critical disconnects are exposed, and unique, profound solutions are offered. Food Choice and Sustainability also unveils a new model of multidimensional sustainability for developing countries to eradicate world hunger and poverty as it compels us all to become aware of the enormous effect of our food choices, make necessary changes, and then, inspire others to do the same. As Dr. Oppenlander explains, ""For most people, the word sustainable means “lasting a while” or “enduring” and unfortunately it’s usually customized or molded to fit a momentary need or want—all fairly subjective. For me, sustainability must account for the realities of time, space, relativity, and optimization. The concept of being sustainable must project beyond self to include society and future societies, human and non-human life—both domesticated and wild life. The thought of achieving sustainability must extend through many layers—economic, social, ethical—not just ecological—and ultimately be carried by our choice of foods." Dr. Oppenlander is a consultant, researcher, and author whose award-winning book Comfortably Unaware has been endorsed as a must-read by Ellen DeGeneres, Dr. Jane Goodall and Neal Barnard, among many others. 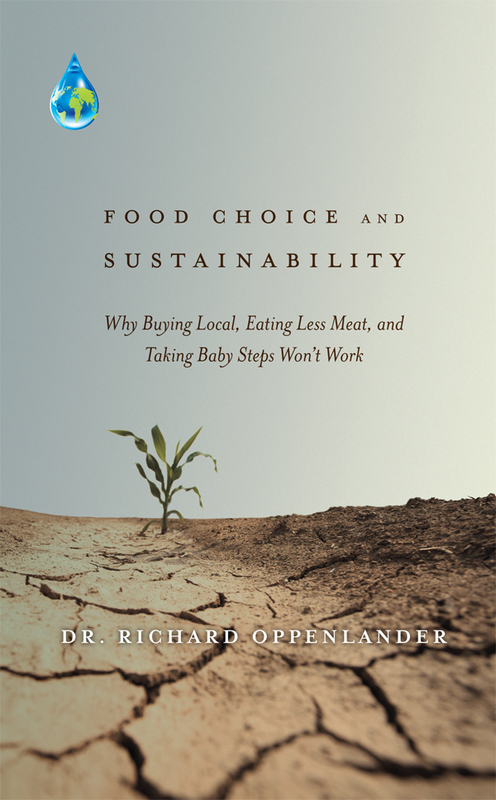 Dr. Oppenlander is a much sought after lecturer on the topic of food choice and how it relates to sustainability, all within the framework of fresh perspectives and critical insights. He has been a key note speaker for several conferences and festivals and has presented lectures and workshops at numerous universities and corporations. Dr. Oppenlander also serves as an advisor to municipalities in the U.S. and to a number of world hunger projects that are designing programs from his multidimensional model of sustainability.